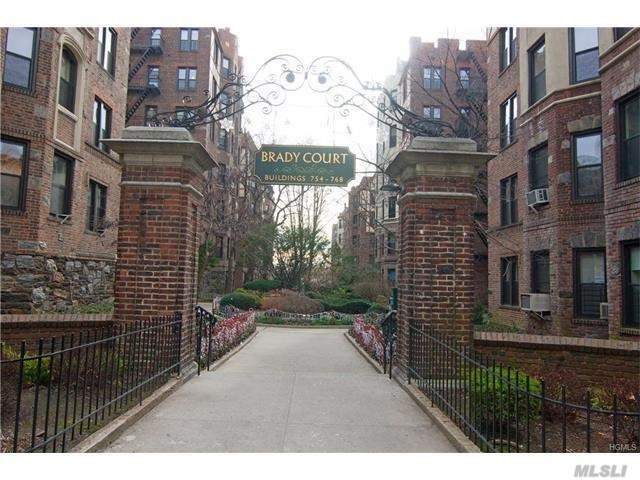 Located on Brady Ave Bronx NY/ and only 1 Block To White Plans Rd * This unit features an entry foyer, dining area, living rm, efficiency kitchen, 2 bedrooms & 1 bath. Grammar School PS 105 K thru 5th & Columbus High School ~ Express Buses Include: BXM 11 ~ BXM 12 ~ BXM 22 ~ BXM 39 ~ & ~ Local Train Lines 2 & 5 Into New York City. Located 1 Block to Whites Plans Road where you'll find Shopping, Restaurants, Banking ~& ~ more. Only 4 Blocks to the Bronx Zoo, and mins to Bronx Botanical Gardens. Minutes to local Bridge & Highways. Laundromat located inside the Courtyard, and Storage units are available ( wait list) Building requires 10% Down Payment & Has NO FLIP TAX!!!! PETS ALLOWED!